With the release of each new search algorithm Google has promised that high-quality, well-optimized sites would not suffer and, in fact, may benefit. In general “good” sites saw little to no impact. The recent rollout of Panda 4.0 seems to have delivered on Google’s promise. The Panda algorithm was designed to keep poor quality sites from being served up as top search results. 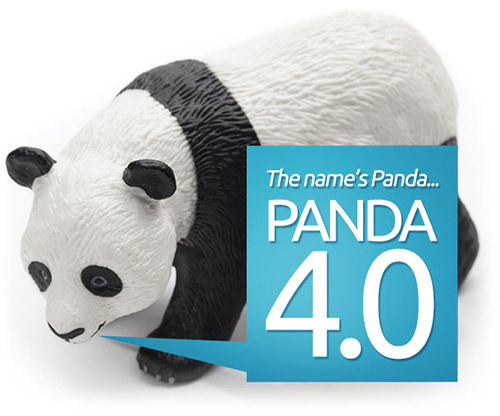 In late May, Google rolled out a new version, Panda 4.0. They also refreshed the “payday loans” algorithm, which looks for queries that spammy sites might target. Poorer quality sites were hit hard, but many sites actually saw significant improvement. The sites seeing the biggest drop according to Search Engine Land were a varied group, including informational, media and retail sites. The hardest hit, and possibly the target for this update, were aggregator sites such as news or price comparison sites. This is in line with Google’s goal of offering searchers original content. Surprisingly, eBay saw a huge drop with industry analysts finding a 50% to 80% loss in rankings. It has been suggested that eBay’s decision to drop AdWords and focus on organic SEO was the cause, despite Google’s assertions that AdWords does not affect organic rankings. Other analysts feel that e-Bay’s organic SEO is lacking and that some of their tactics, such as landing pages with little on them but links to products, are things that Google hates. The biggest winners were varied as well, and some saw increases as much as 500%. Once such site is glassdoor.com, a career site that has job postings as well as ratings and reviews of companies by the employees themselves. The company thinks they were rewarded because their site aligns with Google’s objectives – to provide fresh, good-quality information to site viewers. They also are very active on Google+, LinkedIn, Facebook and Twitter. Ridge Marketing was also a winner in the Panda 4.0 update. Although we didn’t see a 500% jump in our keyword rankings, we were pretty pleased. All but two of our keywords are in the top 2 results for searches. The takeaway from this update is that, once again, trying to game Google is not going to work. It may briefly, but in short order all your work will be useless or even damaging. Publishing high-quality, original material as part of a diverse SEO program will have positive results that last. If your site is suffering, you probably need more than a quick fix. By implementing a diverse and well thought out SEO program, including adding fresh content on a regular basis, your rankings are more likely to be stable. Ridge Marketing is a full service advertising agency and our dynamic SEO strategy can help get your site to the top of the search engine rankings. Contact us to see what we can do for you.